The Office of Price Administration was actually established several months before the bombing of Pearl Harbor, as the country prepared for the possibility of war. Weeks after the declaration of war, price controls and rationing were implemented on all manner of consumer goods except agricultural products. 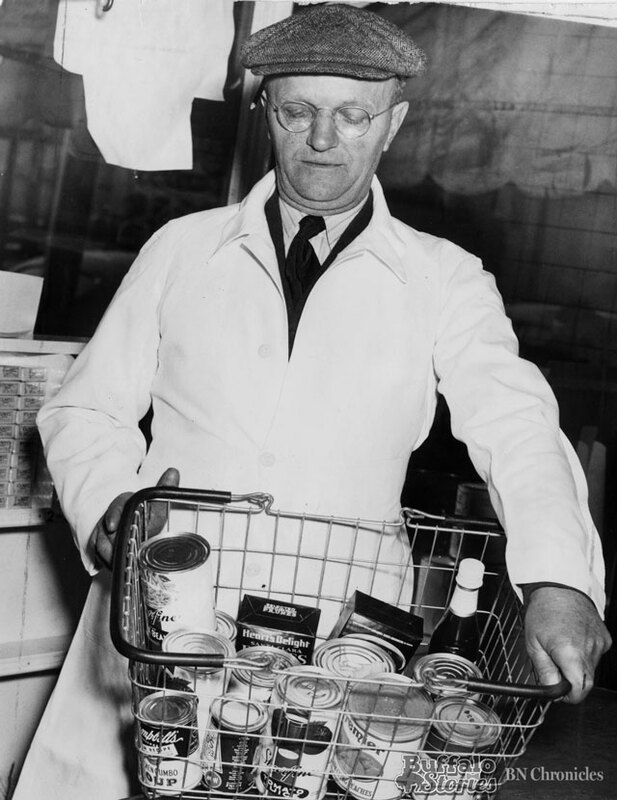 Ben Dykstra, butcher and grocer at the corner of Main and Merrimac in University Heights, shows off the full March, 1943 ration of canned goods for a family of four. 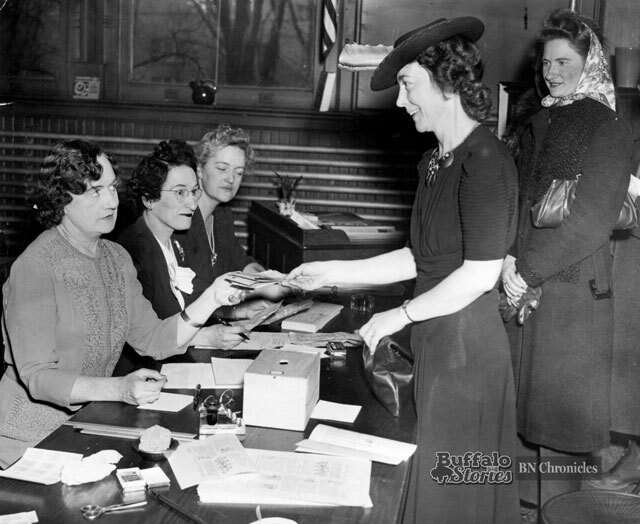 Families had to register for ration books, as Mrs. EW England was doing at School 16 on Delaware and Hodge in 1943. Women jammed markets when they knew they could get good meat. 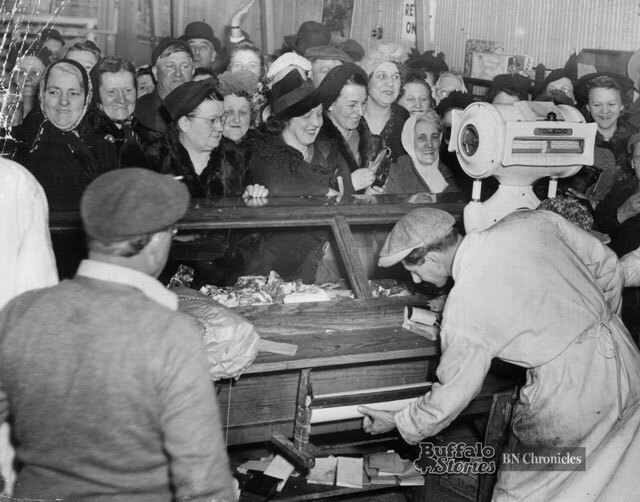 Such was the case at Neber & McGill Butchers on William Street in 1943. Additional ration points could be earned by turning in food waste, like grease, for the war effort. 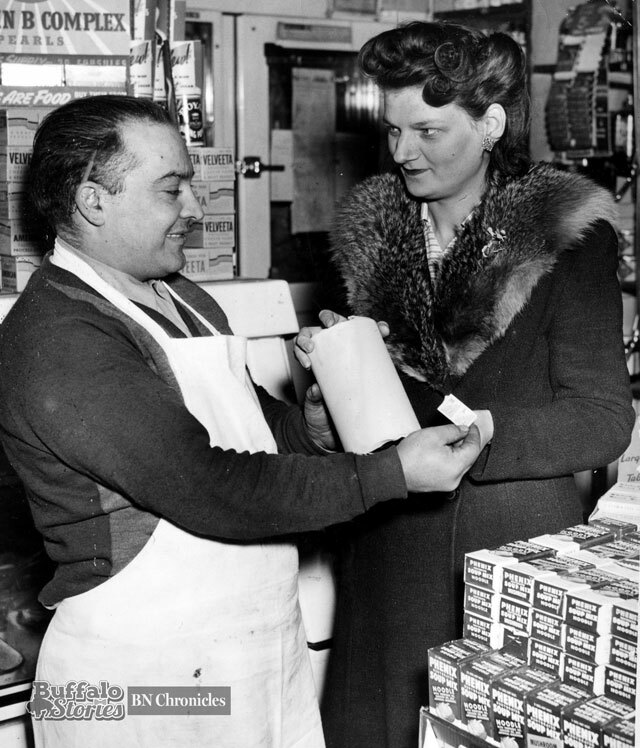 Mrs. Robert Bond of Hampshire Street collected four cents and two brown ration points for turning in a pound of rendered kitchen fat to Anthony Scime, of Scime Brothers Grocery, at Hampshire and 19th on the West Side. Even after the war, shortages continued. 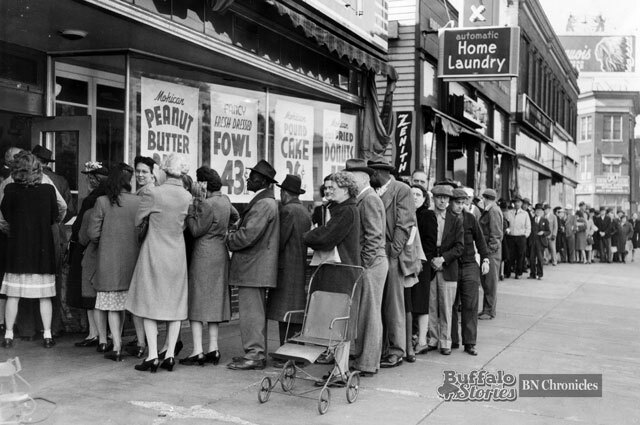 This is the scene at the Mohican Market on Main Street near Fillmore in 1946, on a day when butter was available. 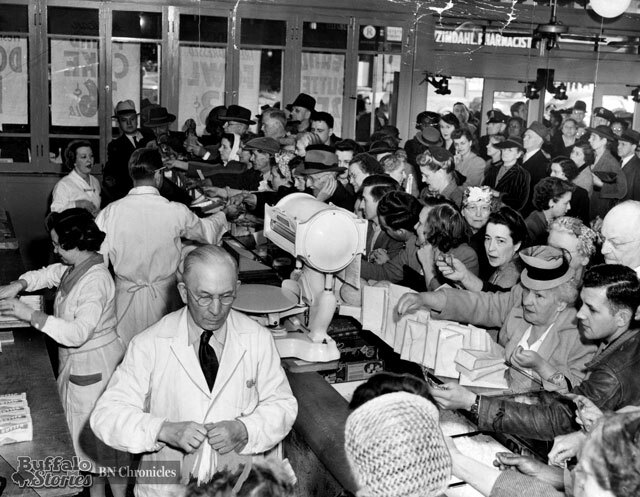 The News called it “a mob scene” inside, where Office of Price Administration rules dropped the price to 53 cents. Some markets, confused by the change in rules, were selling for 64 cents. The OPA was dissolved and price controls ended in 1947.